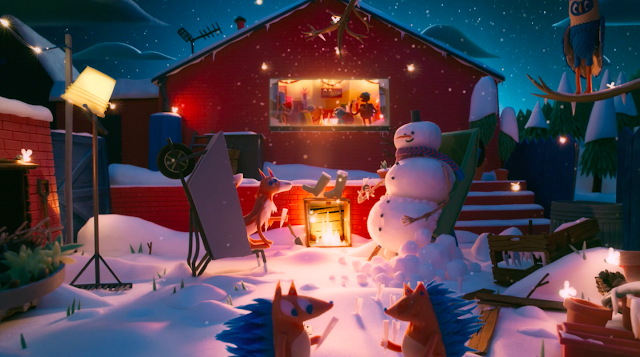 Two years after its first end-of-year campaign for the Belgian National Lottery, mortierbrigade and Blinkink are back with a new animated film. The snowman and his friends return for a new commercial with a charming story and plenty of Christmas spirit. It’s becoming something of a tradition: the Belgian National Lottery has once again chosen mortierbrigade to produce its end-of-year film. This year’s film features familiar characters from past commercials in a brand-new story. The film opens in a freezing garden on Christmas Eve, where a snowman is standing, all alone. He dreams of a warm, cosy Christmas. He crosses his fingers and makes a wish. Will it come true? Belgian artist Spencer the Rover created the wonderfully evocative score for the film. It can be seen on Belgian national television and at the cinema starting today.